I’ve visited scores of plants in my career. I’ve seen proprietary processes that would have been easy to film. I’ve been in narrow aisles where forklifts are constantly at work. I’ve stood next to more conveyor lines than I can remember. I’ve been on the edge of pick modules where I could have easily stepped off. I’m a veteran on how to behave in an industrial facility and around machinery for my own protection, but there are still particular dangers I might be unaware of. In many of these facilities, I was given some general safety tips, but not all of them. Many of the people who come into yours may not be. In 2012, we published a guide to making guests safer. See our guide to safety and storage and handling methods (PDF) you can use to help make guests and employees safer. See this guide to designing your facility with ergonomics in mind. The best way to both workers and visitors safe is to design your operations for safety from the ground up. It’s very easy for people to wander into busy warehouses if attention isn’t paid. My experiences visiting a number of industrial facilities reflect the fact that once you are inside, you are rarely challenged, and that escorts are usually not required. See our comprehensive white paper on industrial loss prevention for extensive information on the ways thieves target warehouses and factories, and ways to combat them. 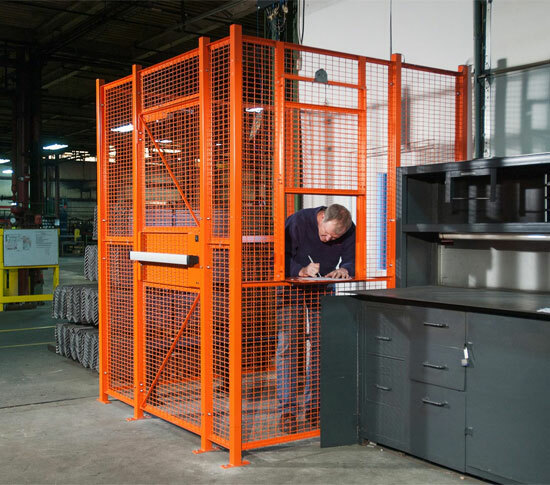 Lay your warehouse out with security in mind. You can often reduce visitors’ access through facility design. In terms of activities you can take, some interesting research has happened on the surveillance front.